Matt Maher, born and raised in Newfoundland, Canada, made the move to Arizona State University when they offered him a jazz scholarship. Playing piano in hotels paid for three years in college. Afterward, he became the worship leader at his church in Mesa, Az. He released three albums with spiritandsong.com before signing with EMI publishing. He currently lives in Tennessee with his wife and son. “Alive Again“, “Your Grace is Enough“, and “Turn Around” are among his many popular songs. Three of his six albums have reached the Top 25 Christian Album’s Billboard Chart. I’m a big fan of his music, and an even bigger fan of his graciousness. He took time out of his busy schedule to answer a few questions about life, music, and God (and he’s coming to Prescott this weekend…keep reading). I’ve read that you became a Christian at the age of 20. Up to that point, how did you envision your future in the music field? Music is not only an integral part of worship; musicians are mentioned, by name, in the Bible. What is it about music that connects us so deeply with God? “Alive Again” is one of my favorites –we sing it in my church and there is no doubting the connection people feel with its message. Many Christians, no matter where they are on their walk with God, sometimes come to that place where they ask, “Where have I gone?” When you wrote this song, were you in one of those places or did you just receive it in a divine rush that can happen to artists? -It was a song that was inspired by a part of a book called “the confessions of st Augustine”…there’s a poem in there called “late have I loved You”…and he talks about being stolen away from God by the world he was so enamored with…and how God rescued him..he says “You called and You shouted…” I definitely identified with those words, and felt a strong connection to that. Our society tends to get stuck on identity labels, such as, political party, job title, religious affiliation, etc, but you cut through all that, straight to the gospel. As a Catholic, have you faced any of those hang ups working in the evangelical worship realm? -Not really at all! I’m glad to say that I think the whole Church is growing to a place of being able to disagree about theology (and work out those differences ) while doing the missional work of proclaiming the love of God in the world…I know that isn’t the case everywhere, but in my life that’s what I’ve witnessed more and more. How has becoming a father impacted your ministry? 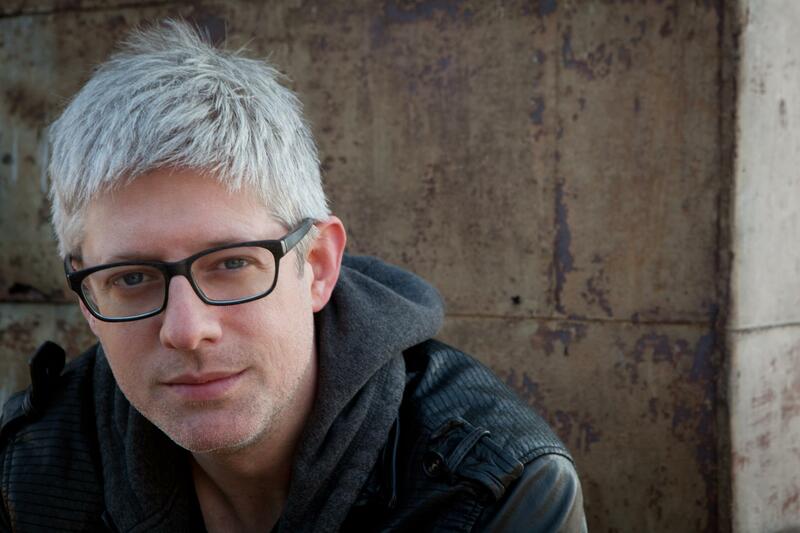 Matt Maher, along with several other Christian music artists will be playing this Saturday at Hope Fest at the Prescott Courthouse Plaza. It’s a free community event starting at 10:00 am with music beginning at Noon.